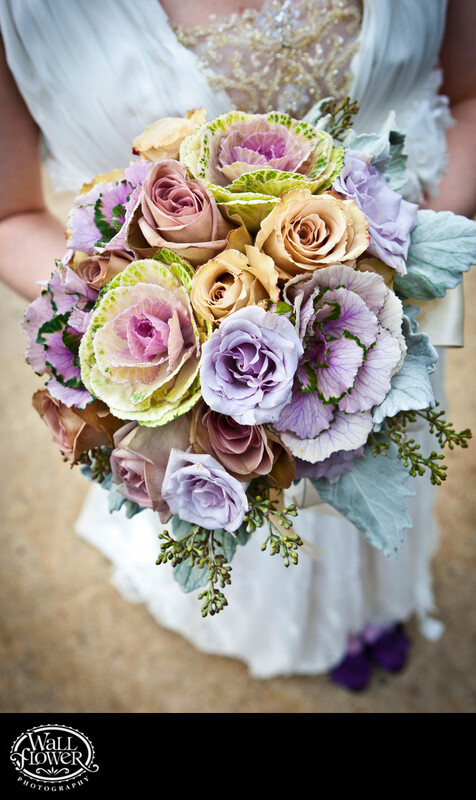 The pale pink, purple and green tones in this unique bridal bouquet were lovely — the bouquet even incorporates cabbages! It also ties in with her purple shoes, which you can see peeking out in the bottom of the frame. The bride's bouquet was created by the florist at Tacoma's Metropolitan Market.